It’s not easy to find some way that can describe the beauty of Angkor Wat fully, and it’s also difficult to express to what you are feeling about it. 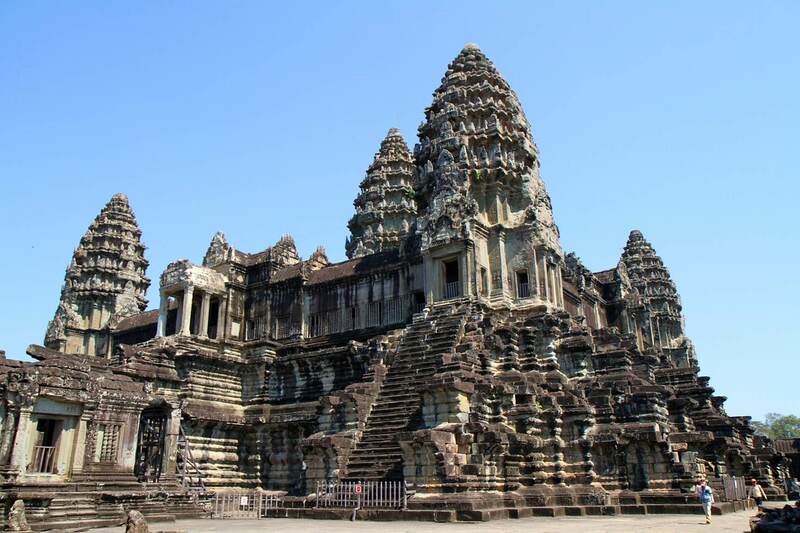 Angkor Wat is the monumental and moated 12th Century Hindu-Buddhist temple and today it belongs to northern Cambodia. It’s the truth that Angkor Wat has a massive moat surrounding the central temple complex. 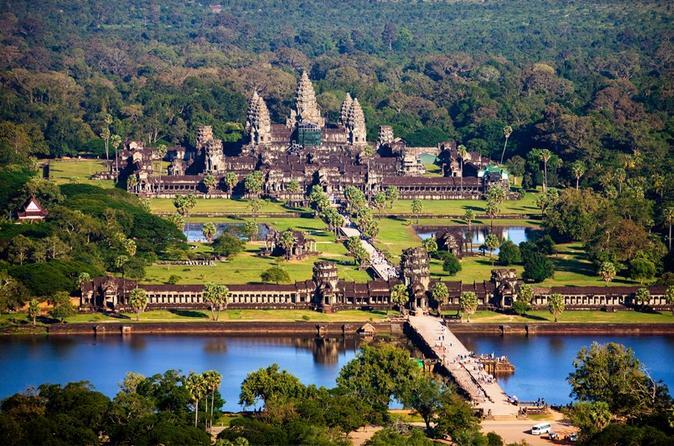 Angkor Wat itself is surrounded by a 650-foot-wide moat that encompasses a perimeter of more than 3 miles. This moat is 13 feet deep and would have helped stabilize the temple’s foundation, keeping groundwater from rising too high or falling too low. With the special design, added more to the special beauty of Angkor Wat. There are two entrances going into Angkor Wat. The main one was to the west across a stone causeway, with guardian lions marking the way. The other which looks more modest is in the east of the temple. The heart of the temple was the central tower, entered by way of a steep staircase, and the statue of Vishnu at top. 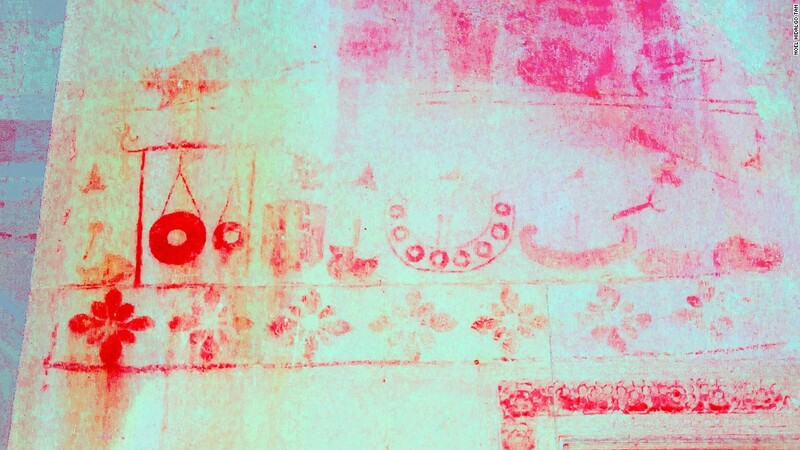 Recently, hidden paintings have been discovered in the central tower. There is one chamber in the tower that has a scene showing a traditional Khmer musical ensemble. This traditional musical kind is known as the pinpeat with different gongs, xylophones, wind instruments and other percussion instruments. Angkor is the city where the temple was built. This site is located in modern-day Cambodia and was once the capital of the Khmer Empire. This city contains hundreds of temples and it ever has about over one million people of population. It was easily the largest city in the world until the Industrial Revolution period. Recent research using airborne laser scanning has shown that Angkor contains an urban core that could have held 500,000 people and a vast hinterland that could have held many more inhabitants. Researchers have also identified a lost city called Mahendraparvata, which is located about 25 miles north of Angkor Wat. 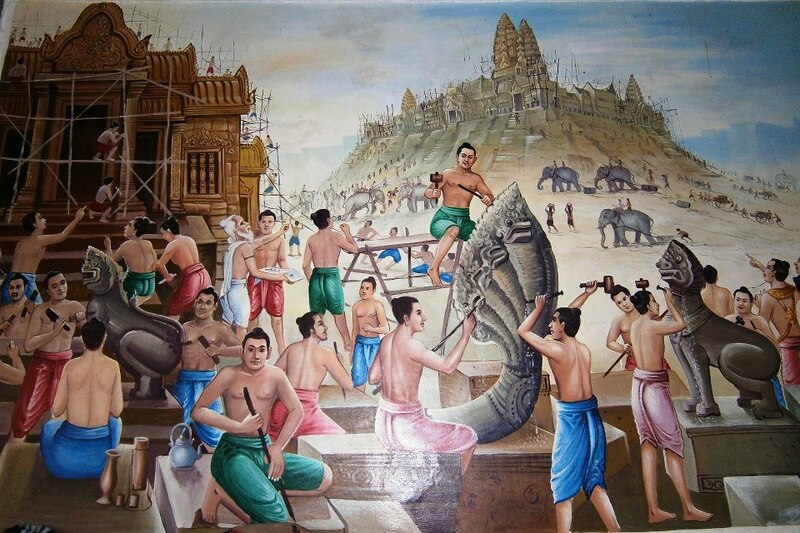 Building Angkor structures was an enormous undertaking that included quarrying, careful artistic work and a lot of digging. In order to create the moat around the temple, 1.5 million cubic meters of sand and silt were moved. This task would have required thousands of people working at one time. The buildings at Angkor Wat posed their own challenges. Besides using a tough material called laterite was used to support for the buildings, softer sandstone was also used for carving the reliefs. These sandstone blocks were quarried at the Kulen Hills, about 18 miles from the north. And the interesting way from a recent research let us that they were transported these materials to Angkor Wat by a series of canals. As one of the famous destination for traveling, moreover Angkor Wat is well known for those like to learn the interesting history about a high developed civilization. Things such as religion, culture, architecture, music and art, way of life of the ancient… always attract so many people all around the world to travel here for discovering the beauty of Angkor Wat.